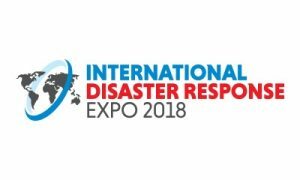 UAVAid was delighted and honoured to be invited to exhibit on the Palladium / DFID stand at the International Disaster Response Expo 2018, 28-29 November 2018. The expo was held at London’s Olympia, in Kensington. 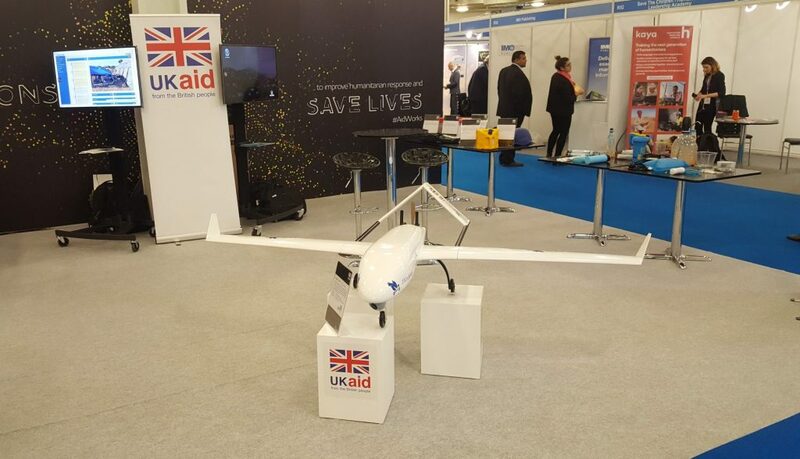 A 1/2 scale model of the Hansard UAV was displayed on the stand, attracting much attention. Considerable interest was generated due to its ability to provide speed, cost and reach improvements over incumbent methods in disaster response and Development scenarios. 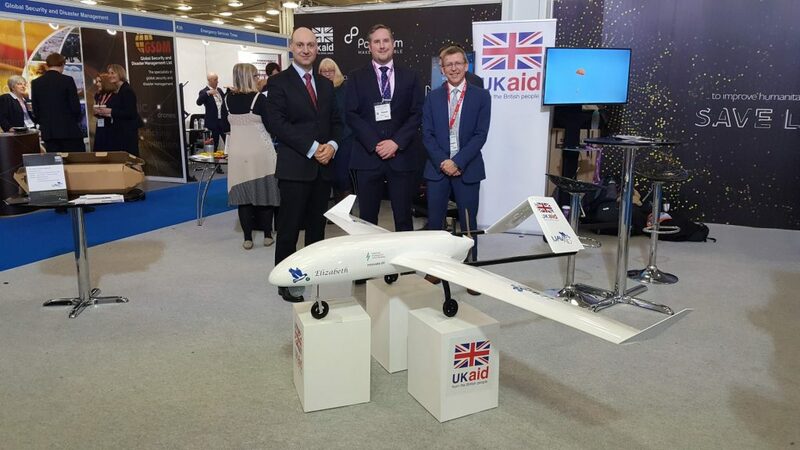 Also on the stand were a number of representatives from DFID and Palladium, including Rob Stevenson of DFID and Jon Barden MBE of Palladium. From left: Daniel Ronen, Rob Stevenson and Jon Barden MBE, with the Hansard model.